The City Of Savannah has been awarded a $1.2-million grant through the Department of Homeland Security/Federal Emergency Management Agency’s Port Security Grant Program for the singular purpose of acquiring an “All Hazards Response Boat”. The All Hazards vessel will be utilized by Savannah Fire & Emergency Services in the event of a natural, technological or human caused event involving chemicals, biological agents, explosives, radiological and/ or nuclear devices. Savannah firefighters will also use the boat’s capabilities for maritime firefighting and for fighting fires along the city’s riverfront. The Port of Savannah is a leading southern port and is the main distribution point for surrounding areas of the country. 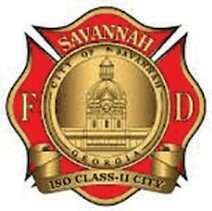 The City of Savannah provides first responders and resources for much of the Port of Savannah. The city provides the first layer of protection regarding fire protection and prevention, responses to chemical, biological, radiological, nuclear and explosive incidents with its specialized units. In addition, the city is expected to support local, state and federal personnel with specialized response teams for incidents involving any type of commercial or private vessel. Application for the grant was a joint effort between Savannah Fire & Emergency Services and the Georgia Ports Authority. Savannah Fire Chief Charles G. Middleton says the boat will be another tool for the department to help protect lives and property within the port.